We all know by now how important of a role social media has on your business strategy. If you’re not on social media, you’re making things significantly harder on your business than they need to be. However, social media is constantly changing and it’s hard if you’re a social media marketing manager to understand how social media is changing the game. We’re going to break down the top eight social media marketing trends of 2018 that are completely changing how we look at social media. Augmented reality is already being implemented in small ways, but it’s leaving a significant impact that will last well into the future. In fact, it’s estimated that the augmented reality and virtual reality markets will surpass $298 billion by 2023. The most obvious example are Snapchat’s facial filters. 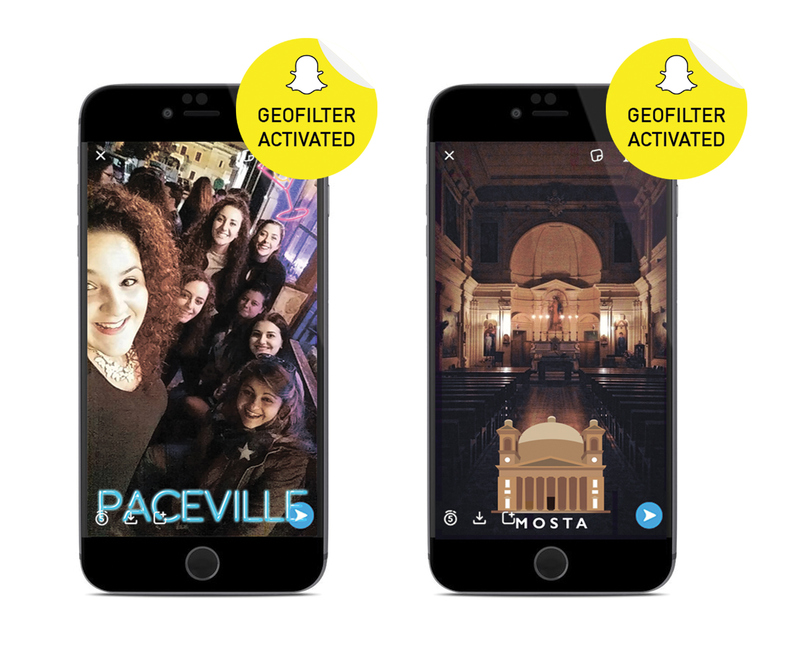 A handful of them have sponsors in the corner of the screen, and people can create their own geofilters as well. Social media marketing managers can and should, if they’re not already, take advantage of these features that will continue to become more prevalent on other platforms to further their reach while personalizing interactions. Generation Z is starting to enter the workforce, meaning they have money to spend. Marketers are starting to target the new generation early, which is a smart move. Retail businesses, for example, are offering clothes that are higher end while offering a wider range of styles. Retailers are also opening pop-up stores and hosting events that offer more intimate, personalized customer experiences, which will continue to be a major business trend for years to come. The reason pop-up stores and events are so popular is that they’re unique and are designed with the intention of being shared on social media. Generation Z was born surrounded by technology, which makes them and social media marketing a natural fit for each other. Video continues to be the dominant medium in social media. Instagram copied Snapchat by creating Instagram Stories, which work in exactly the same way. According to Entrepreneur, 200 million Instagram users use Instagram Stories each month. This makes Instagram a vital focus in your marketing efforts, and one you should give your best effort at. YouTube continues to grow in popularity due to the rise in YouTubers (we’ll get into that more a little later). Generation Z also uses social video platforms like Houseparty, where users can join group video chats and talk to each other online and on the go. By making their presence known on all these video platforms, social media marketers will have a unique advantage in 2018 because video platforms, again, make it easier to offer personalized customer experiences, which is what customers — regardless of generation — want from businesses. People are visual learners by nature, and video goes beyond what pictures offer. Businesses are realizing this, realizing the popularity of video channels, and realizing the versatility of video. Like video, messenger apps offer customers another channel to reach out to businesses and vice versa. We all know how popular Facebook Messenger is and how easy it is for people to reach out to each other without leaving Facebook. This is important because customers who are on Facebook aren’t always on it with the intention of buying a product. If a customer does, however, land on a business page and see something they’re interested in, marketers can reach out to them via chatbot and initiate a conversation that could ultimately lead to a sale the customer never saw coming. This is a great way to increase engagement throughout the customer journey. Businesses can reach out on Messenger, WhatsApp, and Kik, which are all popular messaging apps Millennials and gen Z’ers are using regularly. Live streaming takes video channels to another level. Instead of creating a video and worrying about developing it or needing to start over because it didn’t come out exactly as you planned, social media marketing managers can live stream what they’re doing to give potential customers an intimate, behind-the-scenes look at what’s going on around the office and how products are being made. We’ll repeat this over and over again: personalized customer experiences matter. Live streaming helps marketers to not just give potential customers an intimate look at what’s going on, but to offer a natural call-to-action. For example, marketers who want to offer a one-time promotion can start a live stream and announce on social media that the promotion is starting right now while interacting directly with customers who may or may not have questions and comments. Remember when we mentioned YouTube? YouTubers are the best example of people who market products and businesses to viewers. Any time you see a sponsored video by anyone with hundreds of thousands of subscribers, you’re watching someone who’s considered an influencer. By reaching out to Influencers on YouTube and even other social media like Instagram, you’re getting other people who come off as normal, everyday people to promote your products. Again, this comes down to offering personalized customer experiences. YouTubers gain fame by putting out content that relates to tons of people. When they talk about a product or service, they’re taking advantage of social engineering to give off the impression that the product or service they’re marketing plays a significant role in their life and that it can play a significant role in ours. They’re people we feel we can trust and that goes a long way in a market where customers are hesitant to trust big companies. User-generated content is content created by unpaid fans of businesses that businesses can use to promote their products. It can come in the form of photos, videos, or memes. Doing this is an extremely useful way of getting the customers involved with the business strategy, which — as you can probably guess — leads to a better, overall customer experience. Word-of-mouth referrals still play a significant role in this technology-driven market. People no longer respond to simple marketing tactics anymore. It’s not enough to tell someone they need a product. They want a story behind the product. Like what we just mentioned about YouTubers playing a big role in social media marketing, people also want to see products being used in real life situations. User-generated content personalizes products in ways businesses simply can’t. Social media marketing trends in 2018 are all catered to personalizing the customer experience by putting the customer in charge. Businesses understand that they’re now playing the role of navigator, guiding people to their products and letting them decide whether or not it’s right for them. Through social media, businesses can connect with their customers quickly and personally to help generate more revenue while rebuilding trust by becoming more transparent, public figures.